We here at Knife Depot strongly believe in the right for people to have access to one of man’s oldest tools—the knife. No organization does more to preserve your rights than Knife Rights. The organization, as we’ve written about numerous times in the past, has done countless things to advance their mission of educating people about knives, giving knife owners a voice, encouraging safety, defending knife owners and accomplishing other knife-related goals. 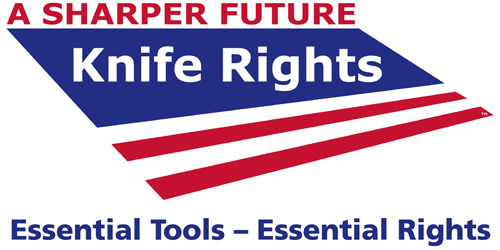 If you’re looking to give back to the organization that helps keep a knife in your pocket, Knife Rights is giving those who donate the opportunity to win some gift certificates to several stores, including a $500 certificate to Knife Depot. Your tax deductible donation to Knife Rights will not only offer you the chance to win a gift certificate but it will also be matched dollar for dollar be a benefactor. Click here to learn more and donate to Knife Rights. “Here are a few of the achievements accomplished by Knife Rights over the past six months. That list, which is not even the updated list of accomplishments since then either, is why we donated the certificate to Knife Rights and why you should donate too. Machete Pocket Knife: Would you carry one? I have never heard of this organization before. I donate to 2 organizations a year and this year I picked Toys for Tots (which I do every year) and the Arthritis Foundation. I will have to remember the Knife Depot for next year. I am all about saving the rights that we have. Thanks so much for sharing!